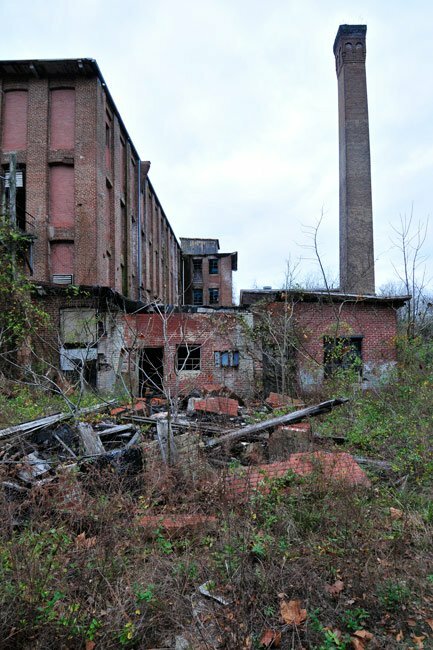 The dilapidated central section of the massive Newry Mill – whose official but less common name is Courtenay Manufacturing Company – still towers over the abandoned textile plant that surrounds it. The mill was founded in 1893 and functional by 1894. On June 14th of that year, Newry became the first textile village in Oconee County. In 1905 steam power and boilers were added to boost efficiency. 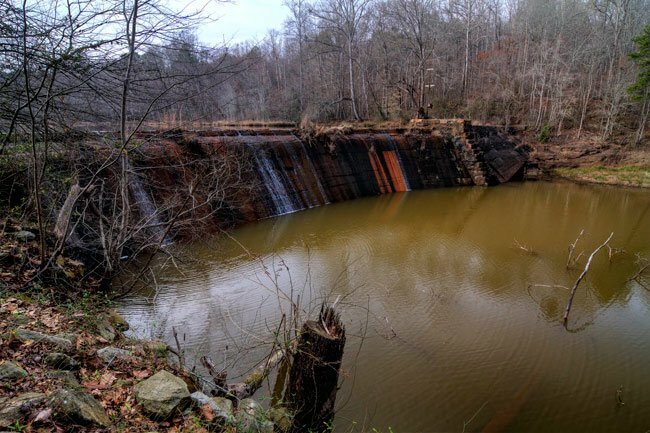 Today, the old mill and historic village linger along the Little River at the base of Duke Power Company’s dike impounding Lake Keowee. The mill was established by Captain William Ashmead Courtenay, a Charleston native who, during the Civil War, led the famed Washington Light Infantry and fought in the battles of First Bull Run, Fredericksburg, Gettysburg, and Chickamauga. Before moving to the Upstate, Courtenay also made his mark as the mayor of Charleston from 1879 to 1887 and, among other accomplishments, suggested the initiation of the South Carolina Historical Commission, which in 1967 became the SC Department of Archives. 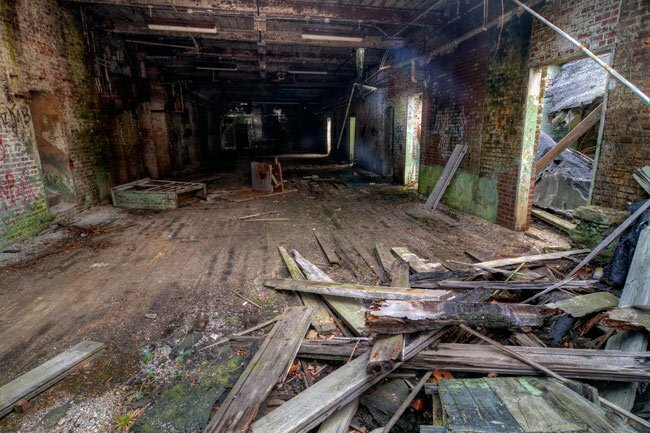 In building the Newry Mill, Captain Courtenay and his peers were following a trend that arose after the war, when northern industrialists flocked to the South to scoop up cheap labor amidst the wreckage of a stricken economy. In general, labor in southern mills cost 25% less than labor in northern mills; in fact, one comparison shows that in 1890, mill-workers in Massachusetts earned $8.05 a week while mill-workers in South Carolina earned just $5.17. Further perks included the absence of unions and regulatory laws – including minimum wage and age restrictions – as well as our moderate climate and access to raw materials. After retiring from politics, Captain Courtenay purchased 350 acres and established the Courtenay Manufacturing Company for the “manufacturing, spinning, dying, printing, and selling of all cotton and woolen goods.” The land is located roughly seven miles from Clemson and to this day remains largely isolated, bound on one side by the Little River and on other sides by dense woods. While his plant and administrative buildings were called Courtenay Mill, Courtenay named the village that surrounded it Newry after his father’s family home in County Down, Ireland. Beginning in 1893 and continuing through 1910, Courtenay constructed 51 cottages, a school, a church, a company store, a community hall (located above the company store), a post office, and even a barber shop. He is remembered as being harsh and impatient at times, but also unusually concerned with the well-being of his employees. He provided them hitherto unheard of conveniences like electricity and running water, and it is said that from its start, a “unified symbiotic relationship was agreed upon between the management and the employees” (1). Following Courtenay’s death in 1908, the mill operations were transferred to his son, Campbell Courtenay. However, the younger Courtenay was forced to sell the factory to the Issaqueena Mill Company of Chester in 1920 due to a series of setbacks – both during his tenure and preceding it – which included multiple droughts, a tremendous flood, a smallpox outbreak in 1910, and the great influenza epidemic of 1918, which affected 700 out of 900 people. Interestingly, the initial president of Issaqueena Mills was Walter L. Gassaway, whose home in Greenville still stands as the largest private residence in the entire Upstate. 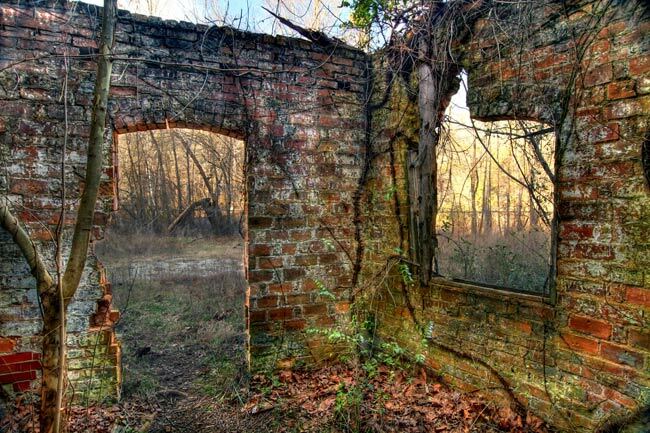 The 40-room estate, which goes by the names of both Issaqeena and Gassaway Mansion, was built with masonry and stone work salvaged from another old Piedmont mill, Vardry McBee, which once operated from the base of the Reedy River Falls. By 1930, Issaqueena’s Newry operation employed 365 people and purchased 5,500 bales of cotton. 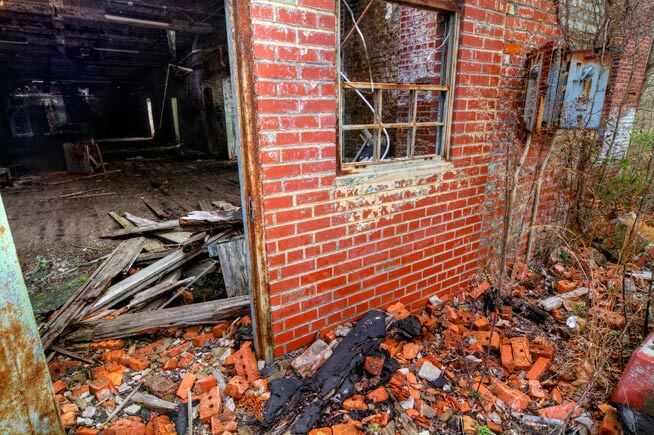 The mill suffered greatly during the long years of the Great Depression, however, and Cannon Mill Interest of North Carolina purchased the factory and its surrounding properties in 1934. 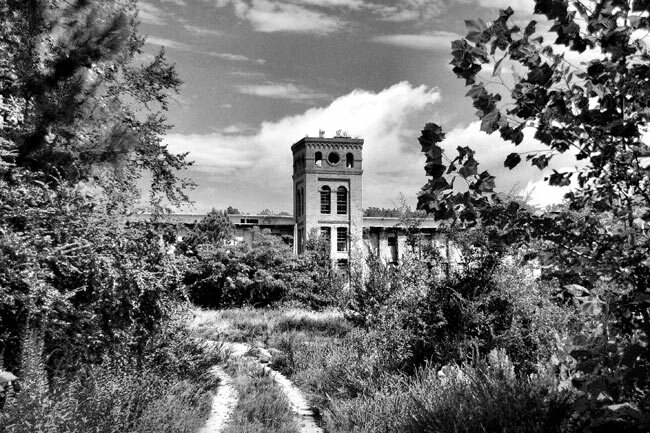 Unfortunately, despite assistance provided by the National Recovery Act, Cannon liquidated the plant in 1939 due to a still-depressed economy. 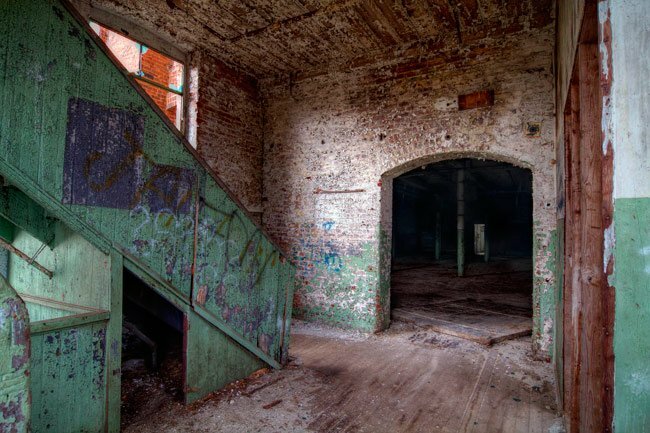 Mercifully for the mill’s employees, Greenwood-based Abney Mills bought the factory and village from Cannon and immediately began upgrading the mill’s equipment. As a result, operations resumed at a higher-than-ever production rate. During World War II, demand for textiles increased significantly, and the Courtenay Plant, as it was then called, “operated at breakneck speed to fulfill all orders.” In 1943, the mill employed 450 employees to process 6,500 bales of cotton. This volume of production continued until the early 1950s, when the first foreign imports began to take their toll. 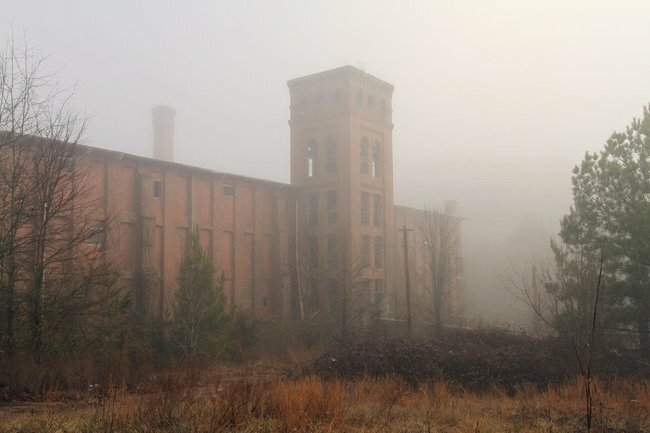 During the mill’s heyday under the ownership of Abney Mills, mill workers played textile league baseball in a field that was later destroyed to modernize the Little River Dam on Lake Keowee. They also enjoyed the addition of two new bathrooms in every home! Repairs were made, streets were upgraded, sidewalks were constructed, and brick duplexes were added, bringing the total number of residences to around 120. Yet times were beginning to change for this and many other mills. As more and more cotton production moved overseas – where labor was even cheaper – South Carolina’s textile mills started to disappear. 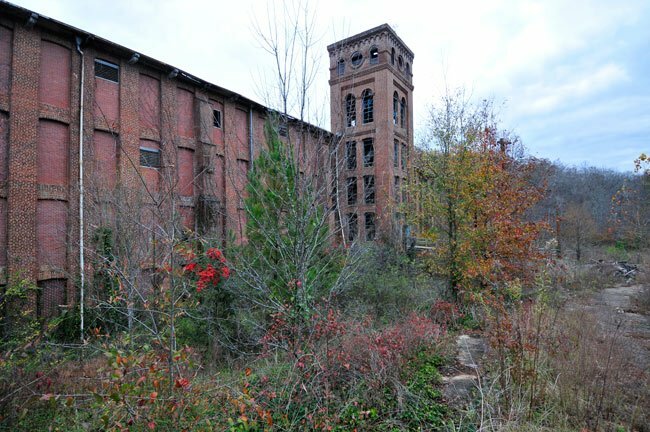 Newry Mill closed its doors in 1975, followed quickly by Abney’s eight other plants. 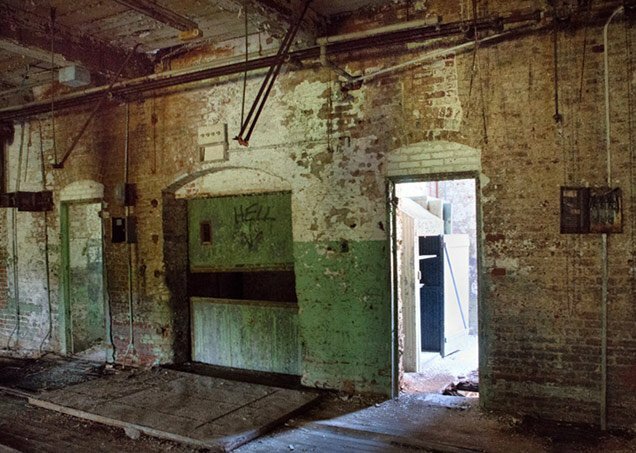 The residences were sold, mostly to their inhabitants, and the former mill workers desperately sought employment in nearby towns. Today, the mill and its village comprise the Newry Historic District. At 250 acres, the district contains 118 buildings including the mill complex, the post office, the village church, and many of the old homes. The ruins of Innisfallen, the house of Captain William Ashmead Courtenay, also named for his ancestral estate in Ireland, can be found on the southwest ridge near the village. Much of the property is now owned by a group of real estate investors who, in 2009, unveiled plans for the Keowee River Development Project, a mixed use development set between Lake Keowee and Lake Hartwell. Prior to their $10 million purchase in 2008, the land was held by Courtney Resources. If built, the project would include condos, single-family homes, an amphitheater, multiple restaurants, and a waterfront park. In 2016 it was announced that the schoolhouse in the mill village was purchased by US Building Innovations, a company that makes water-resistant coating. The company hopes to move operations to the former Newry school site and is in the process of building a 5,000-square-foot facility on top of its concrete foundation. Locals look forward to the redevelopment as well as the more than 31 jobs the company is expected to bring to the area. The Newry Historic District encompasses a textile mill village established at the turn of the century. Situated in a rural setting in the Little River Valley, the town of Newry is visually isolated by a series of surrounding ridges, dense forest, and a large earthen dam on Lake Keowee, which form the boundaries of the district. The district contains 118 properties including the mill complex, mill office, company store and post office, village church, and numerous workers residences, located within an area of approximately 250 acres. Courtenay Mill was constructed in a typical New England textile factory design. The design is attributed to W.B.S. Whaley. Most of the buildings in Newry were built during the period 1893-1910 and are examples of the turn-of-the century genre of mill village design in South Carolina. These include the principal buildings of brick construction located adjacent to the town square, i.e., company store and post office located on the north side, and mill office on the south side. The village church with late Classical Revival style details is located on Broadway in the center of Newry. Sixty-nine houses are two-story duplexes with a catslide roof, eight houses are two-story single family residences. Other wood frame buildings include four larger two-story residences believed to have been originally occupied by mill supervisors, two one-story residences, one additional church and a recreation lodge. The ruin of Innisfallen, the Neo-Classical house built for mill founder, William A. Courtenay, is located on a ridge southwest from the village. 1. This quote and much of the information in this article come by way of an excellent history written by John L. Gaillard of Newry, South Carolina, a longtime employee of Newry Mill who also served as one of its last four employees. You can read this history here; you can also find a summary of Mr. Gillard’s fascinating oral history, as well as those of seven others in the Newry community, here. We are so glad to hear it, thanks for letting us know! I thought this information was really useful. Do you know who owns this property now? SAD!!! no joke.. I first walked through the great doors of this plant back in 2006 to “explore” this site. It was beautiful to say the least and even to this day I still find new little things about this plant. I bought a home next door to the plant back in 2012 when I moved my family down here because it was simple, pretty, safe and literally no one knows where it is. I had become busy and had not visited the ole mill till this past fall. SAD! REAL SAD. This great building has fallen apart in such a short time. Being in construction through my college years I had learned a little bit about “structure” and this place is fading fast. The bottom floor is solid still. The second floor from the bottom shows great signs of decay and damage not from people but from just moister alone. the second floor is all wavy, and you constantly worry about falling through. Huge holes in the floor make it very unsafe to walk around in now. Same goes for the rest of the floors. These “holes” get as big as 2 feet or so. This is partly due to people that keep setting fires on the inside…. SAD.. I love this mill, and I wish I could rally a bunch of people to support saving it. It can be done. I did. I saved a home that had not been lived in in 20 years in Newry. It took me the past 4 years now to do. 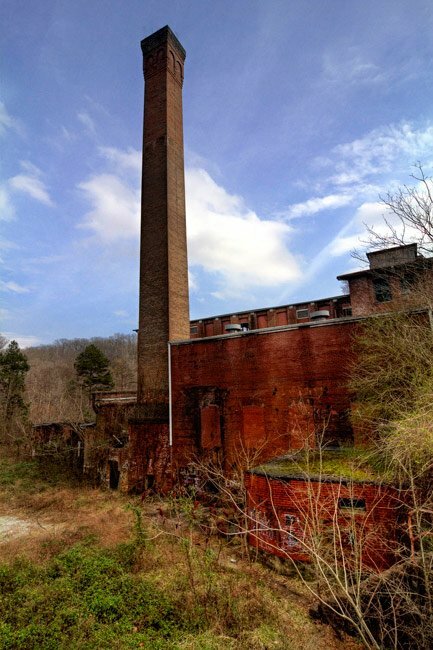 So it is possible to save the ole mill. I just wonder who has the heart and really deep pockets its going to take to save the mill. I would even volunteer my time to help save the mill. The question that remains is, who else would? I have heard a rumor that they could start in 2017 doing something with it. I hope they do cause this tiny town has a lot of fight left in it. Great history of this unique village. My son and his family own a house at Lake Keowee and I frequently drive to Newry for photos and just to enjoy the quaint community. I often stop and speak to people if I see them on the street or around the homes in the area. I have been given fresh vegetables on many of my visits. I am excited to think of the possibilities of the community gaining new life from proposed developments. I hope they materialize soon. The mill is incredible! Same as the town! It's tucked away so tight that even people that have grown up in the upstate never heard of it. 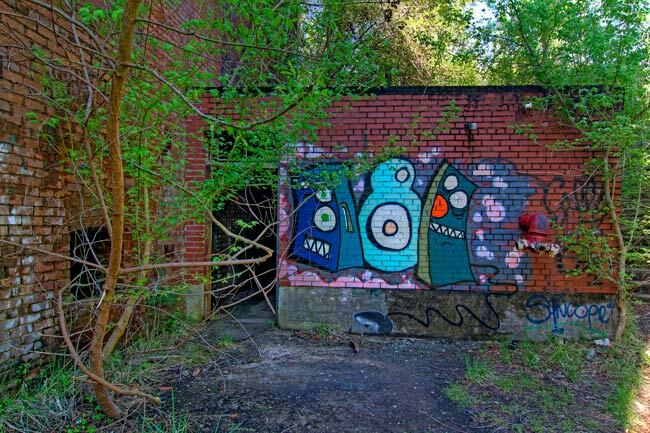 Unfortunately you have the inconsiderate people to graffitti the place up and place their "marks" but it's a part of urban abandonement I guess. If they make use of the mill, I hope it's for a great cause. But certainly hope it's not demolished. That place is crumbling day by day though with holes in the roof and floors. Hello Ms Kirby. While working on my Courtney/Kirby genealogy I stumbled upon this article. I find it interesting that you tie in with both my Courtney and Kirby family names. Maybe we should chat and see if we are kin? I have been vitally interested in Newry, my great-grandparents’ home, since 2006. My great-grandfather answered the first bell’s call. Is there a unified group working constructively now? I left the NHS just before its funds were turned over to OHC – $23,000. If interested you may contact me. I have pics of the switch engine that you speak of. My great-grandfather, James Albert Kirby, my grandfather, Horace D. Kirby and my Dad, Albert Kirby all worked there. They were also engineers for the locomotive that carried raw product from Courtney to Newry and carried finished product back out. My Dad and grandfather drove the last train out of Newry when they took up the tracks. We lived in a house beside the company store until I was about 6. I grew up on Hwy 130, and moved to Greenville in 1963. I have passed by the Gassaway Mansion many times, as it was near my children's school. I did not realize that it was a part of my childhood, too! Thanks for the info. Is the mill under construction at this time? Wow, there's just no respect with the kids in today's society. who stuck all the graffiti all over the place? WHEN I lived there, we walk all of those halls and left it like we found it. It was sacred. There is an unpaved road off the lower part of Broadway Street in Newry which connects almost directly to the Old Clemson Highway. In the 1898 marketing brochure for the mill Courtenay Mfg. Co. indicates that Clemson COLLEGE is only 5 1/2 miles away. 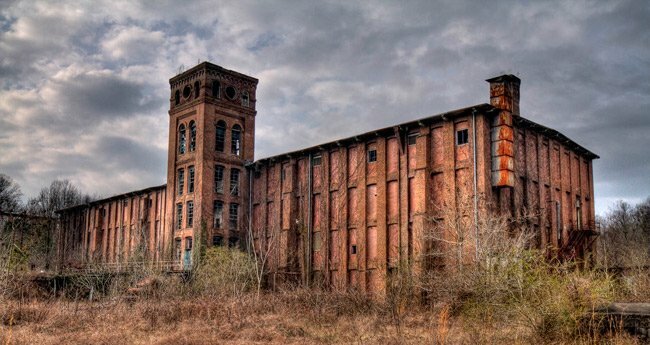 I’ve always wondered why Clemson University has not seen the potential of renovating the magnificent old mill and using it for a technology center. What a showplace that would be! I have family members who have many memories in this old mill. I have spent over 56 years in South Carolina textiles, primarily warp knitting, and I found this information very interesting. I have seen the rise and fall of our textile business and am sorry to see it go, but thankfully it is being replaced by new industry and new technology. I am working with a team to make a documentary about haunted legends in upstate SC. When I saw this mill, I knew that I HAD to research it and include its story. If anyone out there can direct me to more information on its legents, it would be greatly appreciated. Contact Me: projectlegendalyx@gmail.com. We completely agree! Peter has been incredibly generous in donating photos to the South Carolina Picture Project – we love him! These fine photos are a small fraction of the great work Peter Krenn has done as he travels in various places.